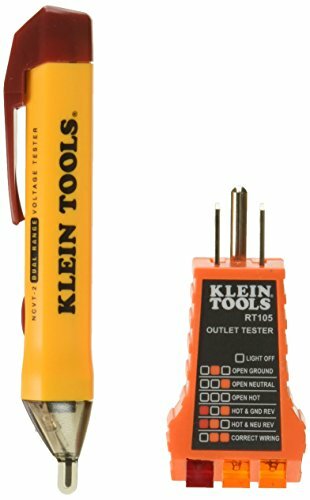 The basic voltage test with dual range is specially designed to accurately detect voltage in cables, cords, circuit breakers, lighting fixtures, switches, and outlets. Featuring a cat IV 1000V rating, it provides expanded operation and protection. Designed with performance in mind, it features a lightweight yet durable polycarbonate plastic-resin construction and pocket clip, allowing for convenient storage and quick access.